In 2012, the Supreme Court had asked auction of all natural resources like coal and spectrum and in case of spectrum, it was meant for the radiowaves used for voice telephony and not applicable to apply to backhaul airwaves, which are critical for maintaining back-end connectivity of access services. With Congress calling allocation of microwave spectrum a scam, Sinha cited the 2012 SC ruling, which had cancelled allocations done on the first-come-first-serve basis, to say that backhaul spectrum was not covered under the judgment. "The allegations are baseless", Sinha asserted. The Comptroller and Auditor General (CAG) in its report tabled in Parliament last week said microwave access (MWA) spectrum was allocated to a telecom operator in 2015 on first-come-first-served (FCFS) basis in contravention to the recommendations of a Department of Telecom (DoT)-constituted committee, while 101 applications for microwave spectrum were pending with the government. SC had barred FCFS policy. "The SC order of 2012 is for access spectrum and not backhaul spectrum. It is not one service provider but all those who were genuine, were given microwave spectrum on an administrative basis, before and after the order. Before 2012, two TSPs were allotted this spectrum and after 2012 Jio and Systema were given, Trai had also given its recommendations and in 2015, DoT notified its policy on those lines of TRAI recommendations and all valid applicants were given the option with the condition that if in future government takes any decision, retrospectively they will have to pay the government and two applicants applied and they were given spectrum administratively,” Sinha said. The Congress had, earlier this week, demanded a probe into the matter following findings of the CAG that a set of spectrum was allocated in 2015 on first-come-first-served basis in contravention to recommendations of a committee. The Congress had alleged that the CAG had found that various instances of spectrum mismanagement by the DoT had caused a loss of around Rs 560 crore to the public exchequer. "The allegations are baseless and without any evidence," Sinha said. 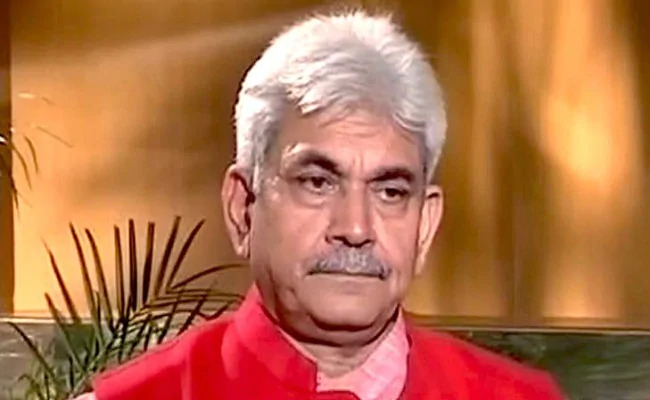 Sinha also defended the decision on deferred spectrum liability, saying extending the period of making payments to 16 years would bring an additional Rs 74,446 crore to government coffers with the amount of future payment of Rs 3.65 lakh crore in case of 16 years of payement period v/s Rs 2.74 lakh crore in 10-year payment duration. Last year an inter ministerial panel suggested and govenrment accepted the decision to defer the spectrum dues payment period to 16 years from 10 years keeping in mind the poor financial health of the telcos. “When the inter-ministerial group gave recommendation, it gave consideration to net present value and the same was the case with the Telecom Department and Telecom Commission, so the entire matter was well thought out, to see how urgent relief can be given to the sector without causing loss to exchequer," he said adding NPV or the net present value was sufficiently considered before taking this decisions. Asked whether there is a decision to auction such backhaul spectrum, the minister said, "So far there is no decision...we are neither considering it nor studying". He said adequate safeguards are in place to ensure that whenever the government takes a decision, those allotted such spectrum will have to pay up, retrospectively.